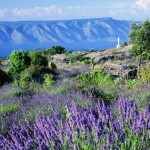 Lavender Oil Dalmatian (Croatia) - Ultra International B.V.Ultra International B.V. 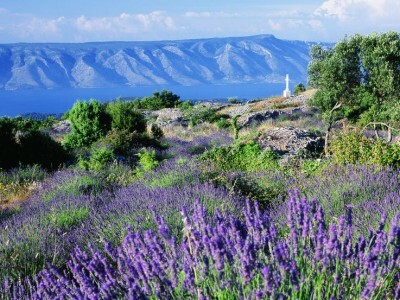 The lavender essential oil produced in Croatia has a light, refreshing, crisp aroma different to other modern day lavenders. This cross hybrid lavender is more reminiscent of traditional lavender notes, somewhat more camphorous with pine notes. It can be found in a number of applications which require a high impact lavender note without the superiority of the higher end Bulgarian or French oils. A major selling point in the fragrance markets is its cost. Dalmatian lavender has always been prices somewhere between the costs of lavandin and other European lavenders and as such has a strong appeal to perfumers. There are some plantations in the Dalmatian area but there continues to be a significant amount of wild harvested material available in the market which makes for a great story. Dalmatian oil is thought to be different due to its growing environment. High quality soil, a temperate climate and the steep rocky slopes along the coast give this lavender different characteristics to most. It is also considered that due to its natural composition, Croatian lavender acts as a more powerful antiseptic to other lavenders making this ideal for household first aid kits and other medicinal antiseptic creams. The picture on the left shows the beautiful coast lines of Hvar, known as ‘Lavender Island’, lying along the Dalmatian coast.